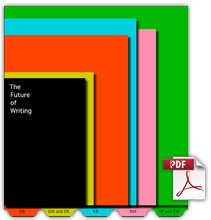 The Future of Writing was a design project commisioned by Microsoft Research Cambridge and the Microsoft Office team, in the summer of 2011, from the Royal College of Art in London. In this project five teams of design alumni from the college took a speculative approach to looking at the way in which authorship may change in the future. 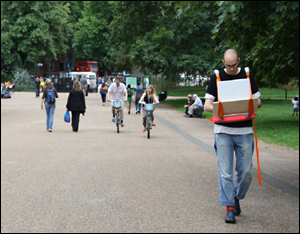 The result is five very diverse design ideas and directions, described using video, text, images and interactive prototypes. The following content is drawn from the project PDF designed and assembled by Kellenberger–White. The PDF details this project in much greater depth than here, and includes reference material, process and thinking, images, links, inspiration and more. The Infinite Adventure Machine by David Benqué. Happily Ever After in the Big Society by Dash Macdonald and Demitrios Kargotis. How do I know what I think until I see what I say? by Koby Barhad. The Future of Everything by Sascha Pohflepp and Chris Woebken. 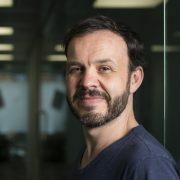 “In this project with Microsoft Research, Cambridge, and the Microsoft Office Team, we explore new ways design can make technology-supported writing and authorship more meaningful and relevant to our lives, both now, and in the future, by thinking not only about new applications but implications as well. 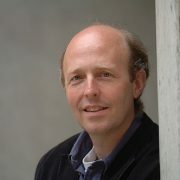 Richard Banks, Alex Taylor and Tim Regan | Socio-Digital Systems, Microsoft Research Cambridge. 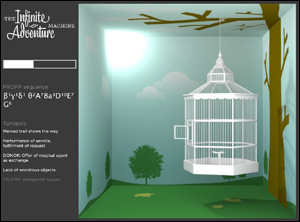 The Infinite Adventure Machine (TIAM) is a proposal for a computer program that generates fairy tale plots. Based on the work of Vladimir Propp, who reduced the structure of Russian folktales to 31 basic functions, TIAM aims to question the limitations and implications of attempts at programming language and narrative. 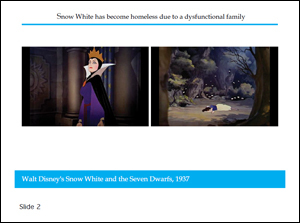 Because the program is unable to deliver a finished story, rather only a crude synopsis and illustrations, users have to improvise, filling the gaps with their imaginations and making up for the technology’s shortcomings. 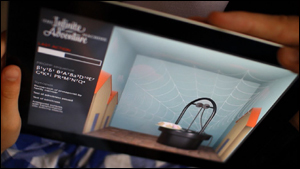 View the project website (including video). 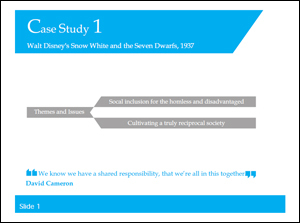 ‘Happily Ever After in the Big Society’ is a hyper-realistic workshop training script that uses fictional case studies to model and explore goals and objectives identified in the 2010 Conservative manifesto. Expanding on the misappropriation and exploitation of fiction in management training, the project questions whether it is possible to transpose ideas from iconic stories and films into real-world applications, and the socio-political implications of reworking fictional models to inform the contemporary grand narrative of ‘The Big Society’. Download the Workshop Training Script. “How do I know what I think until I see what I say?” (E.M. Forster).“Thoughts you may have” is a research project that look into the existence and possibility of regenerating what Augustine of Hippo describe as “Soliloquium ” — our Inner Dialogue. My desire was to reintroduce writing as a form of thinking, and as the research advanced it became clear that thinking and writing are not only the “twins of mental life”* they can actually produce a possible form of it. To represent those aspects of “life”, I first developed a unique word processor that emulate the way our mind make use of words (based on the 1900’s psychologist Lev Vygotsky’s claim that “words die as they bring forth thoughts”). Combined with emerging text prediction technologies, in the future, it will be possible to create a computer generated stream of thoughts — Thus having our new possible thinking self. In a series of experiments that ends with a religious confession, the use of this new authoring tool reveals unique patterns and configurations that distinguish this way of writing. The new space becomes self and social exploration tool. Having a virtual thought, opens a pathway to a new social space where people can manage their externalized thinking streams. This space is called — Cogitos (Cogitos – a plural form of René Descartes’ cogito – “I think there for I am”). Cogitos is a possible thinking space – a social network of virtual thinking selves that evolve through different interactions, rules and inputs. It continues to evolve even long after we have left this world. View the project website (incl. video). There is a rich world of symbols that can change our perception of the written language. 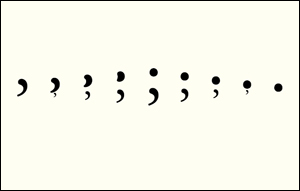 Never pronounced, constantly evolving, these seemingly trivial hooks, dots and lines can clarify, structure or twist a text; they can also make us smile or ponder upon an intended meaning. But on our keyboards this diversity is reduced to the bare minimum. Let’s mix and merge these symbols and invent new ones! 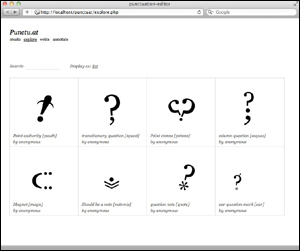 Punctu.at is a tool to create, combine and share new punctuation marks and symbols. Using existing typographic shapes, this project explores how personal symbols can enrich and modify the meaning of a text. The future of writing is the future of writing down everything. We will be the last generation whose life will not have been on record. Personal technology has been tracking our every move for some time already and selective memory is a biological concept from which databases do not suffer. The future of writing will be our auto-autobiographies being created by machinic ghost-writers. How aware will we be of being the protagonist of a continuous narrative? One through which the past could be re-enacted, the meaning of the present influenced, and the future predicted. 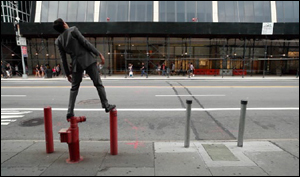 The following are stills from three videos produced by Pohflepp and Woebken, entitled “Past”, “Present” and “Future”. Huge thanks to Onkar Kular for his relentless mentorship and project management, and without whom this project would not have come to fruition. Thanks also to Jeremy Ettinghausen, Tim Etchells and Justin McGuirk for their inspirational presentations and contributions at the opening workshop. Thanks, finally, to Kent Lowry of Microsoft Office for his support and contributions.